It was a sad day when I walked into the LYS and found that they didn't have anymore yarn in stock to complete "Scrollie". And the owner didn't know if she'll get more in. It's my fault though. 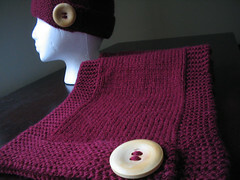 This yarn was originally set aside for a v-neck tank. Changing the design to a boat neck required that I have a tad more yarn. But the store did have a variegated yarn that was made to complement the original yarn I used. 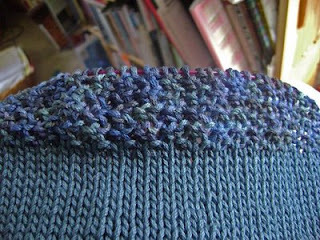 It contains the exact color of the original yarn, along with additional shades of blue. 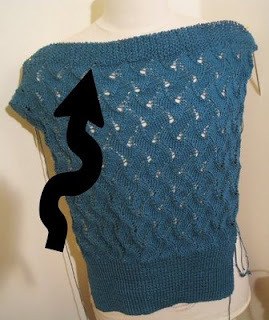 This is the back of the sweater with the neckline knit in the variegated yarn. ...and rework it with the variegated stuff. The places I found that sell this brand online don't have this color. 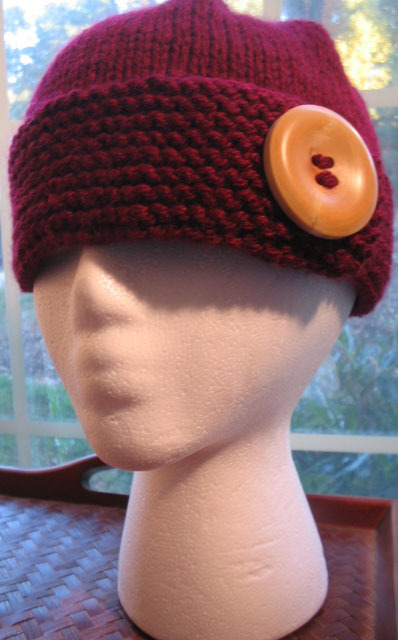 I've found ONE person on Ravelry that has this in her stash. I sent her a message asking if she'd like to sell me a hank. We'll see what happens.